Designed for versatility - from formal to laid back - these bags are fashionably flexible and fun. 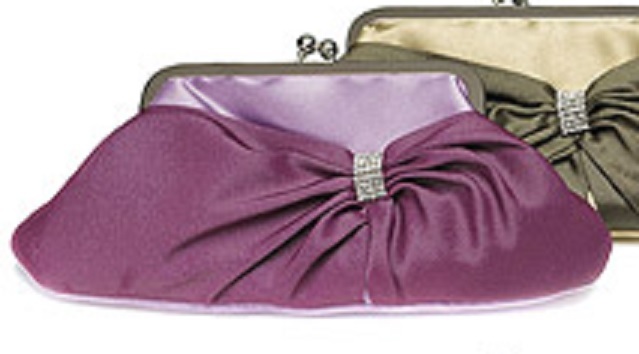 Handheld or slung over the shoulder, they are an amazing accessory for the big day... and the next day and the next day... Luxurious satin fabric with a beautiful antique silver clasp and crystal detail in amethyst color - solid and two tone. Each purse has a silver chain handle that tucks inside when used as a "clutch".